Berniece May Duke, age 99, of Long Beach, California, and formerly of Blandinsville, passed away at 11:45 A.M. on April 8, 2019 at the home of her son in Long Beach, California. She was born on May 18, 1919 in Liberty Township, Adams County, Illinois the eldest daughter of Ervin Carl and Cora Laura Ift Blank. She married William J. Duke on May 31, 1942 in Quincy, Illinois. He preceded her in death on September 24, 2004. She is survived by one son Gary Duke PhD. (Ltc.Ret.) of Long Beach, California, two grandsons Brian (Diana) Duke of Poway, California, and Eric (Kristy) Duke of Pasadena, California, two great grandchildren Micah and Kaitlyn Duke, several nieces and nephews also survive. She was preceded in death by her parents, husband, daughter Sue Biederer, and two sisters Helen Oldham and Esther Craft. Bernice was a 1941 graduate of Western Illinois University with a teacher’s degree. She taught elementary and high school mathematics in Mineral, Lewiston, Canton and Blandinsville for 22 years. 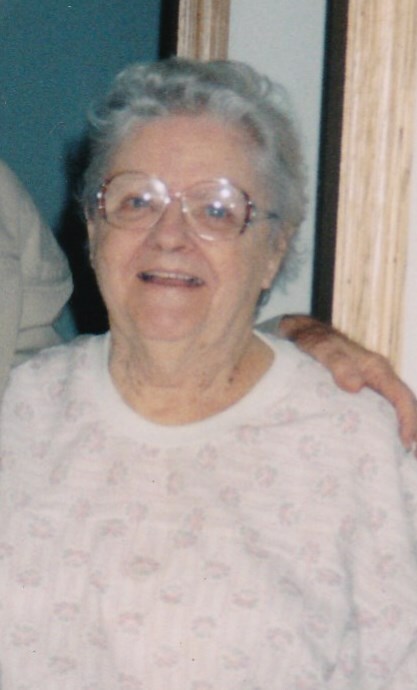 She and her husband were farmers and had lived in Canton till 1951 when they moved to Blandinsville. They spent winters in Florida from 1983 to 2004. She continued to spend winters in Florida and summers in Illinois until 2010 when she moved to California to be with her son. She was a member of the Blandinsville Methodist Church for many years. Funeral services will be held on Monday, April 15, 2019 at 10:00 A.M. at the Blandinsville Methodist Church. Rev. Beth Nelson will officiate. Entombment will be held at 1:30p.m. at the Greenwood Cemetery Mausoleum in Canton, Illinois. The family will meet with friends on Sunday, April 14, 2019 from 5:00 P.M. until 7:00 P.M. at the Clugston-Tibbitts Funeral Home in Blandinsville. Memorials may be made to the Blandinsville Methodist Church, or the Blandinsville Fire and Rescue Squad.